Given Ferrari is revealing a new V8 berlinetta at Geneva and Lamborghini has released convertible versions of both its supercars, you could be forgiven for thinking McLaren might be a little left out, showing a GT3 car and MSO specials. Not to be outdone, it has taken the opportunity to confirm new details about the upcoming Speedtail's powertrain. Previously we knew the car would be capable of 250mph, making it the fastest McLaren ever; now we know exactly how it will go about achieving that. A parallel hybrid without any EV range, the Speedtail will feature the familiar 4.0-litre turbo V8, with 757hp and 516lb ft, plus a new electric powertrain providing 313hp and 258lb ft, for a total of 1,070hp and 774lb ft.
More interesting still are the advances in battery technology. The batteries in a Speedtail weigh nearly half that of a P1's battery pack at 52kg, yet boast four times the energy density. So in 2013 96kg of batteries enabled 179hp and 192lb ft; just half a dozen years later and 52kg proffers 313hp and 258lb ft. Which is pretty incredible. The Speedtail will also be fitted with with wireless charging (see diagram), and can't be plugged in. As for how long the powertrain can stay at the full 1,070hp, it's currently too early to tell. You'll remember the requirement for a P1 was a flat out, full lap of the Nurburgring; given the Speedtail's more relaxed remit - 250mph v-max notwithstanding - it might be less than that. Whatever the case, this sort of information promises to keep interest in the Speedtail maintained for a little while yet. Expect a little more soon! Exciting! Looking forward to this one. Maclaren should be applauded for building something that irrelevant and bonkers in this day and age!! I love it. Willing to bet the Speedtail batteries don't have four times the energy density of the P1's. 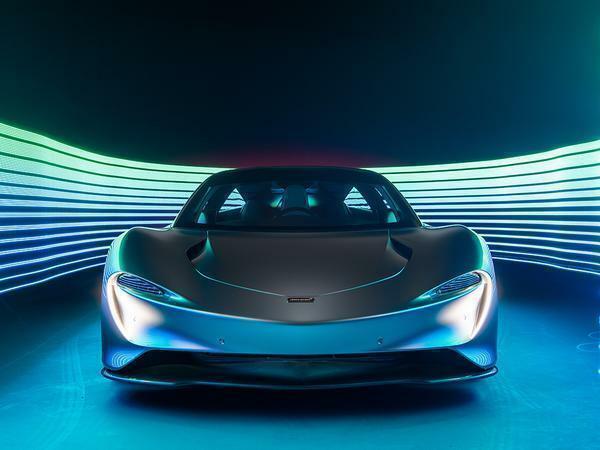 That would mean McLaren either opted to fit the P1 with some duff old lead-acid cells, or they've made some kind of huge, paradigm-shifting battery chemistry breakthrough that the rest of the planet is somehow unaware of. The ability to get energy out of the batteries quickly may be markedly increased, along with more powerful motor(s), but I doubt the cells themselves have anything more than an incremental energy density increase as might be expected with the general trend for improvement in the six years since the P1 was developed. The fact that it has zero EV-only range tells us something about the way in which the Speedtail uses its electrons, a much bigger hit for, presumably, a shorted period. You need to be careful with stuff like this, duff info travels far and wide. Oh my gosh, those battery stats are painful to read. I was about to say the same myself, the article seems to be describing extracting circa twice the power output from a battery pack half the weight (presumably half the number of cells) and therefore drawing circa 4 times the current, which is completely different to four times the energy density.